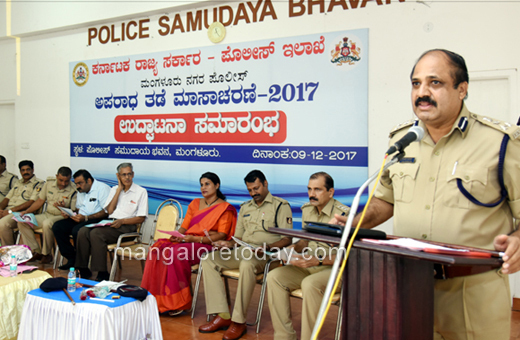 Mangaluru, Dec 09, 2017: Crime Prevention Month Programme was inaugurated on December 9, Saturday by City Police Commissioner T R Suresh at a function held at the Police Community Hall. In his inaugural address, the Commissioner said the Department plans to hold awareness programmes in educational institutions as children and women are the victims of crimes in many cases. 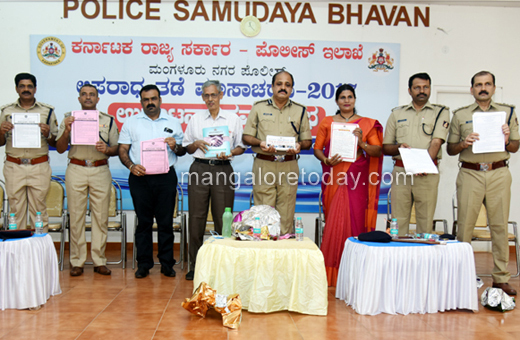 He also stated that incidents of crime can be checked to a great extent by creating awareness. Public co-operation is very much important in the endeavour of the Police Department to check crime, he added. 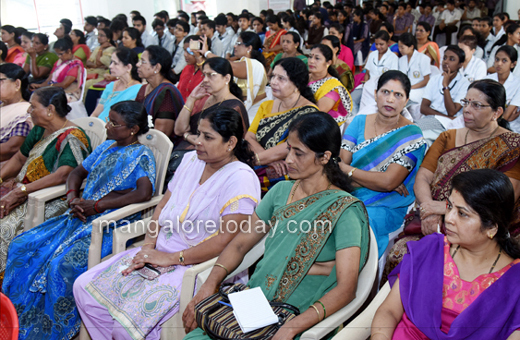 Dr Mahabala Shetty was the resource person. 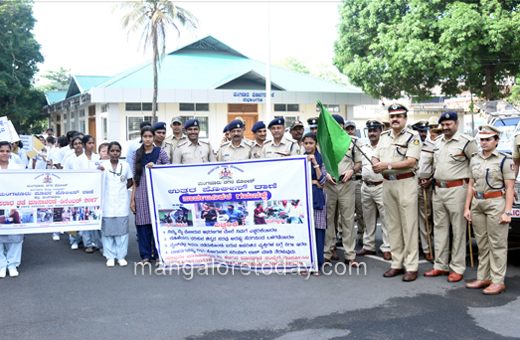 Sabitha Misquith, Corporator, Hanumantharaya, DCP, Uday Nayak, Ram Rao, Manjunath Shetty, Rajendra, ACPs and others were present. 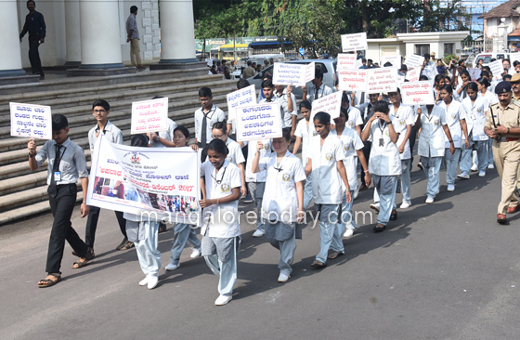 Earlier, a jatha with the participation of the students was taken out from near Town Hall to the venue of the programme.